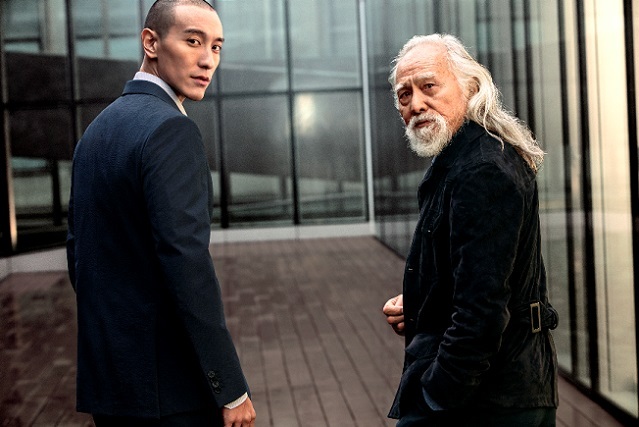 After the February debut of the Defining Moments campaign saw admired Hollywood legend Robert De Niro and young actor McCaul Lombardi having a heart-to-heart conversation, Ermenegildo Zegna begins the second part of this global campaign by featuring faces from the Greater China. Celebrated performing artist Wang Deshun and actor Sunny Wang are invited to continue the conversation with the Ermenegildo Zegna community through the lasting expression of the new emotionally connected voice. Defining Moments display a collection of life experiences, rich in its own extraordinary way, often life changing, and mostly an achievement that is deeply personal. It is these moments that become part of the fabric we wear and that define who we are. The launch of the Greater China conversations is a Defining Moment for the Italian luxury menswear brand’s glorious journey, and underscores the brand’s unwavering confidence of the Greater China market. The two actors shared their outlooks on stories of the present and reminisced about memories from the past, trying to discover answers in a free flow conversation leading to their Defining Moments. Roaming the streets of art and fashion capital Milan, and wearing outfits handpicked from the Ermenegildo Zegna SS17 collection, their conversations led them to questions on life and how best to live out each instance faced. Sunny Wang never swayed from his dream of acting, yet challenged the stereotype of movie actors that he does not identify himself with. Wang Deshun shared having to turn to a different performance stage after he was forced to give up theater for health. Sunny Wang, not ready to compromise told himself: “This is my path. I won’t look back,” while Wang Deshun reached for the impossible, convinced that: “Every turning point is essential to reach a level.” It was at this moment, when a free-spirited man full of perseverance crossed paths with the hopeful wise man full of peaceful determination - that somehow a new path was formed. Performing artist Wang Deshun spent half a century acting on theater stages and movie sets. His remarkable masculinity and rich experiences have captivated generations of admirers. Sunny Wang is brimming with passion and raw energy for acting and stands out from his peers with his exceptional individuality, winning him applause for on-screen performances. Two gentlemen from different generations, yet pursuing a similar dream - to emerge and break the norm, continuously challenge the status quo. They met in Milan with Alessandro Sartori, Artistic Director for Ermenegildo Zegna, and film-maker Francesco Carrozzini, to talk about their own Defining Moments. Along with the launch of the second part of the global campaign, Zegna also launches #ZegnaConversations on the dedicated Defining Moments website. Robert de Niro, McCaul Lombardi, Wang Deshun and Sunny Wang will be among the celebrities to start worldwide conversations on this interactive platform. It is aimed to inspire the sharing of stories of more successful individuals of different ages, cultural backgrounds and from different parts of the world to discover their own moments. Every month, Ermenegildo Zegna will identify the most inspiring story and invite the sharer of the story to a complimentary Su Misura experience, the brand’s celebrated made-to-measure service, empowering them with greater confidence to embrace every Defining Moment yet to arise in their lives. The discovery of affinity and mutual learning through conversation that is free, real and passionate, lies at the heart of the new Ermenegildo Zegna strategy. The Defining Moments episode of Wang Deshun and Sunny Wang will be released on social and digital platforms, and will witness the deeply personal insights touching many hearts. In May this year, Zegna will host a week-long Defining Moments exhibition in Shanghai, where opinion leaders from different fields will attend to share their own views and compelling stories. Zegna will deepen the dialogue with their customers, by offering a richer choice of bespoke experience of our brand and products - and to share what defines us. Ermenegildo Zegna is a global company, yes: but is anything but faceless.